If ever there were a destination that was larger than life, and more vibrant than the postcards can even do it justice, it would be India. Once you’ve enveloped yourself in this ever-moving nation of 1.2 billion people and its inextricable melange of cultures, you’ll never quite be the same again. So where to start this life-changing trip of yours? Air India flies direct from Australian capitals, with many international carriers flying between the two countries via an Asian stopover. Indian airports are fantastic in themselves, with Delhi claiming the spot as the sixth busiest airport in the world, while Mumbai manages a record of 969 take-offs and landings in a single day. Meanwhile, Cochin airport is the first in the world to run entirely on solar energy – reason enough to hop down to the beautiful coconut palm-filled state of Kerala. With no less than 26 airlines servicing domestic routes within India, it’s very easy to whiz directly to where you need to go just about anywhere on the massive subcontinent. If you stick to the air, though, you’ll miss out on some glorious other ways to travel. The Indian railway system is nothing short of incredible, its 12,000 trains carrying 23 million passengers every day through an ornate spider’s web of tracks across the country. Eight classes of travel mean you can find exactly the experience you’ve dreamed of, from the four-bunk sociability of second-class air-conditioned overnights through to the most rarefied of luxury onboard such treasures as the Palace on Wheels or the Golden Chariot. If you long for a chariot on only two wheels, touring India atop an iconic Royal Enfield motorbike is the quintessential way to see, feel and love this country. If you prefer four wheels, touring with a private car complete with your own driver/guide can be less expensive than you think here. 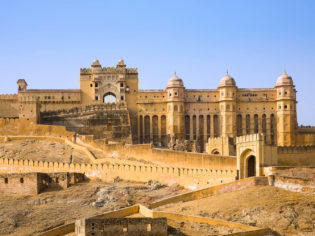 It doesn’t get much more delicious than staying a while in a haveli mansion, a medieval fort or even a real palace, replete with bejewelled walls and soaring dining rooms, and India offers this kind of experience everywhere. In Rajasthan, the colourful and popular desert state, there seems to be almost a palace in every town; the family-run Deogarh and super-luxe Samode are both worth every penny when you stop for a night (or three), while the Jagat Niwas Palace gazes directly over Udaipur’s famous lake (and Lake Palace). Modern architecture in India’s capitals is even more awe inspiring when you get to stay within it. Every perfect curve and pillar is yours to enjoy at the thoroughly beautiful Roseate in Delhi, or get spoiled in the classically plush Leela Palace hotels, spanning from Chennai to Bengaluru, Udaipur and of course, Delhi. Stay in a luxury tree house on a tiger reserve at Lemon Tree Wildlife Resort Bandhavgarh or in a beachside eco-village of bungalows at The Dune in Puducherry; out in the Andaman Islands, quench your thirst on fresh rain- and springwater in an elegant thatch tent amidst the rainforest at Barefoot at Havelock Resort. The Taj Mahal is beyond a must-see – it’s a part of India’s very soul. Getting out of bed before sunrise will all be worth it if you witness this shining marble edifice at its best, at dawn. The holy city of Varanasi has sat augustly upon the river Ganges for over 5000 years, and the sacred waterway continues to be the centre of life here. From births to deaths, blessings to prayers, the ghats are alive with humanity and their rites 24 hours a day, and must be seen to be believed. Sikkim is far beyond the beaten path, high in the Himalayas and barely attached to the rest of the country, but its unique culture and breathtaking vistas put it high on any list. Take a yak safari, go paragliding through the world’s most famed mountain range, or just meditate in a breezy, open-air monastery. 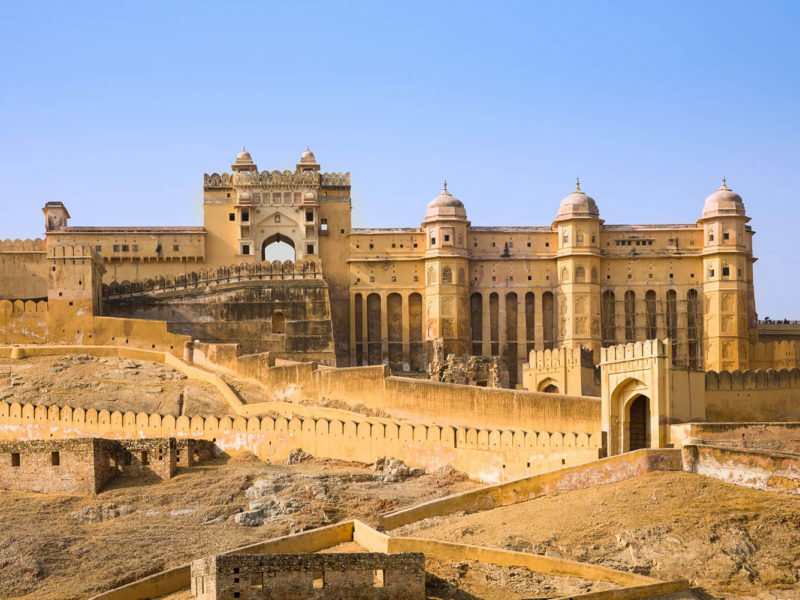 Amer Fort exemplifies the vast Rajasthani forts that have marked the desert through this state’s millennia of royal history. Once you have marvelled at its length and breadth, some of the region’s best dining can be had in the rooftop restaurant, and the son et lumiere evening performance is the perfect finish. The Pushkar camel fair brings countless tribespeople, herdsmen and pilgrims to do business, dance, sing, compete, pray, socialise and trade their 30,000-odd camels. Watch circus performers, sit and sip chai with other visitors and attempt to chat amongst the dozens of languages and dialects filling the air, and bargain in the crowded markets. Travelling by boat – especially houseboat – through the silent canals and waterways of tropical Kerala is an essential experience for anyone needing a deep breath, and especially a deep dive into the everyday life of the people here. You’ll witness the flow of village life from a unique angle as you drift by. An epic journey by rail is an unforgettable experience. The longest train journey in India, the Vivek Express, covers an incredible 4,273 kilometres; if you’re not quite up for that 85-hour epic, the Grand Truck Express covers more than 2,000 kilometres cross-country, from New Delhi to Chennai.